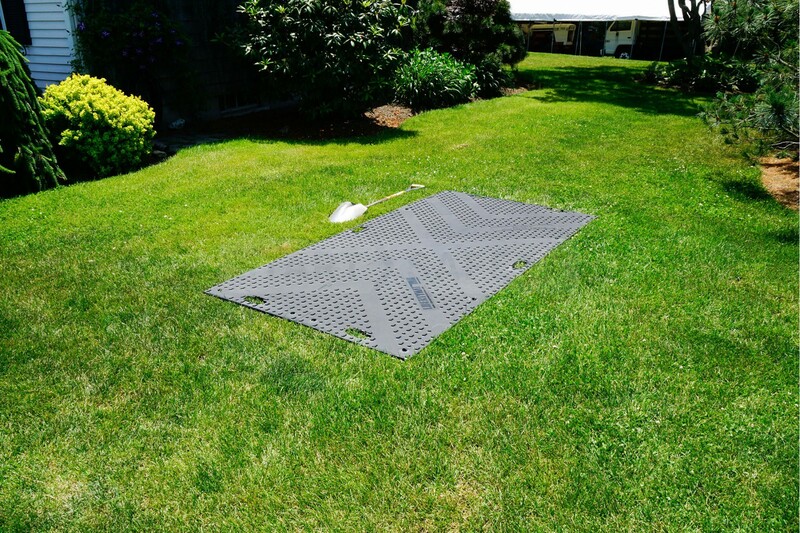 The LibertyMat is a heavy duty, flexible ground protection mat that is easy and fast to install. It has a variety of fixing methods and can operate under heavy loads, providing excellent protection for the ground beneath. 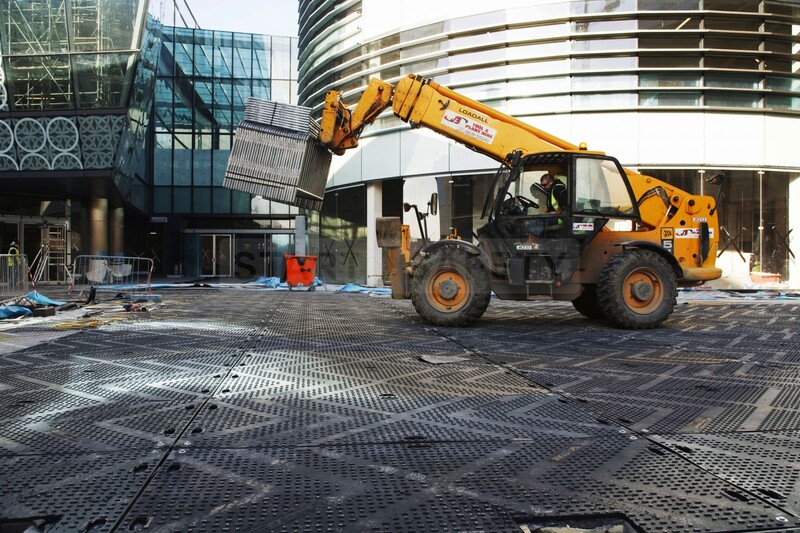 The LibertyMat is at home in many applications and can be found on construction sites, mining and drilling operations, as well as maintenance roles within sporting facilities. 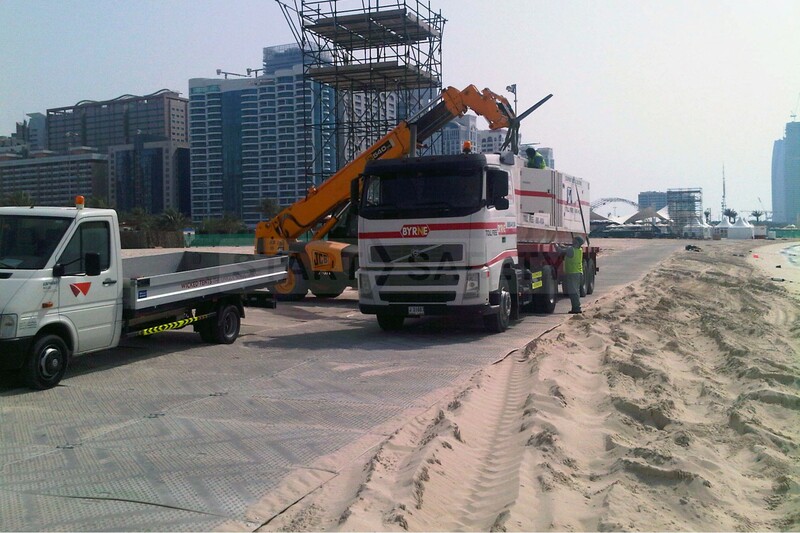 Ideal for allowing heavy plant machinery access to construction sites. Provide a stable and secure base for mining and drilling machinery. 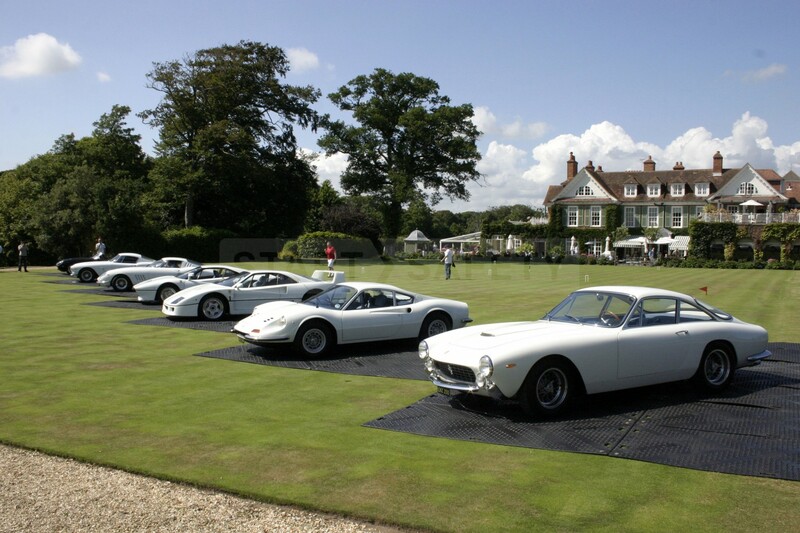 Ideal for temporary extended parking lots. Prevent damage to grassed areas by large volumes of foot traffic. Handholds allow for easy and secure handling. The hand holds are large enough that gloved hands can be used with them too. 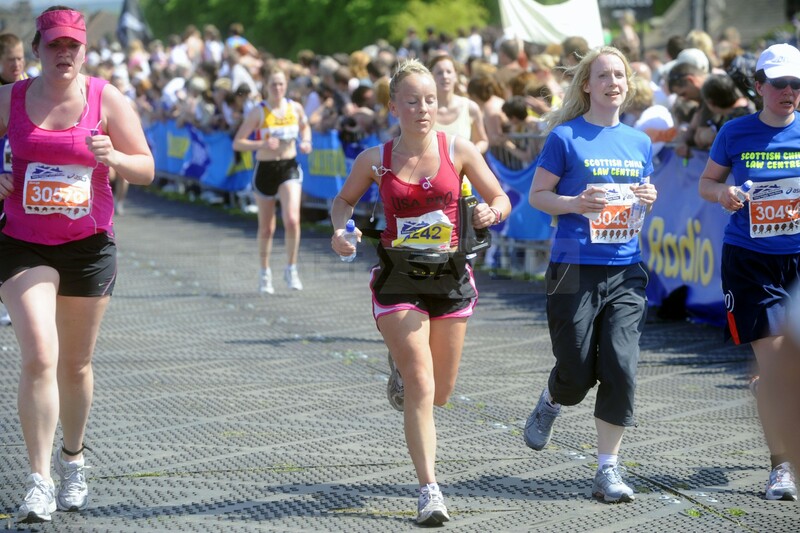 The hand holds come in especially useful in high winds allowing the user to keep a secure grip of the mat. 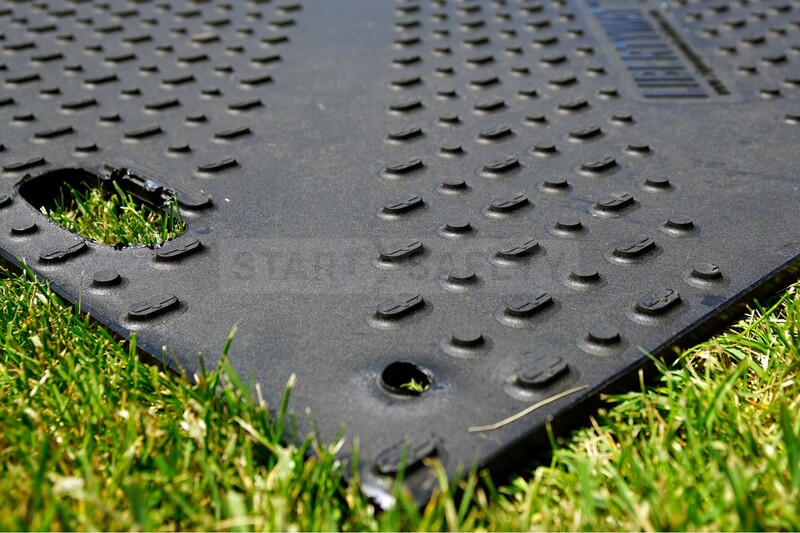 High-Density Polyethylene makes these mats tough and ensures there is not chemical “leakage” from the product into the surrounding ground. The HDPE from which these mats are made is widely accepted for recycling. 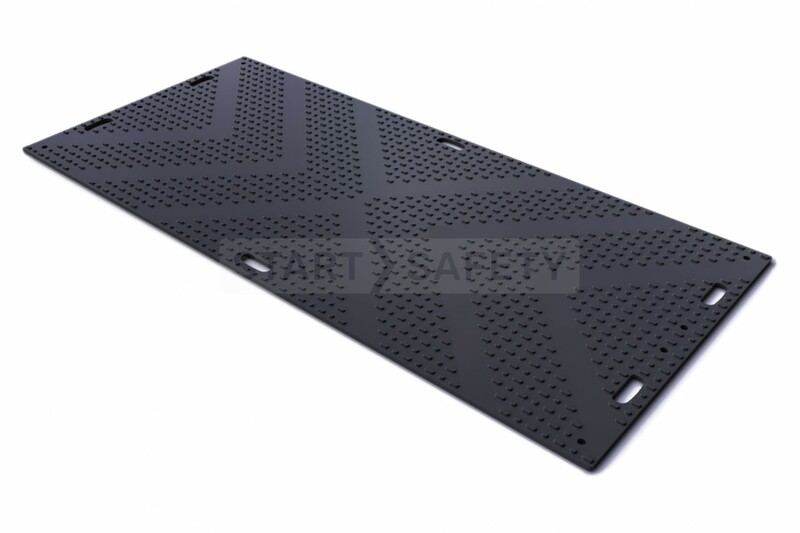 The lightweight nature of these mats when compared to their steel and wooden cousins means that they are much more cost effective to transport as more mats can be loaded onto a vehicle before exceeding the weight limit. The chevron traction surface offers exceptional grip for small and large vehicles alike, both cars and heavy plant equipment. The chevron pattern offers superior forward traction, whilst reducing the likelihood of sideways slippage. 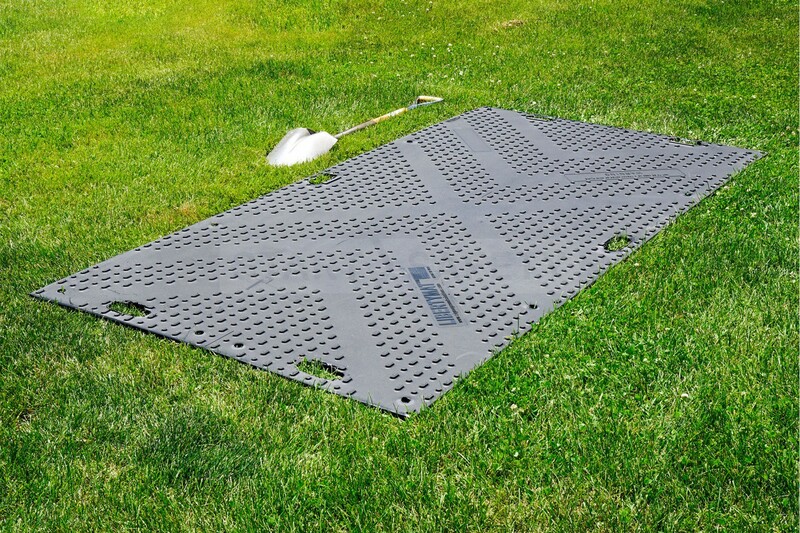 Quick and easy to install and ensure mats do not part when passing over undulations in the underlying surface. They are ideal for installations that are likely to be left down for longer periods of time. If you have any questions about the LibertyMat then please contact us toll-free at (800) 671-9662, our sales team will be happy to assist you in getting the best product for your needs. Per Unit Over 176,000 lbs. Tested at the National Physical Laboratory, England.